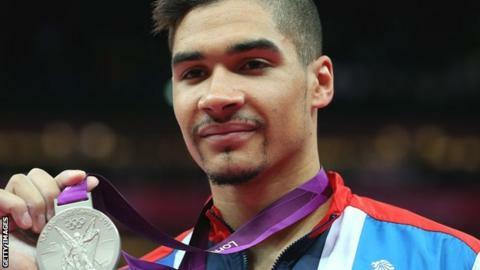 Britain's Louis Smith could prolong his gymnastics career until the 2020 Olympic Games in Japan. The pommel horse specialist won bronze at Beijing 2008, followed by silver and team bronze at London 2012. The 26-year-old BBC Look East: "I have been thinking very hard about this and the 2020 Olympic Games in Japan is a very big possibility for me. "I haven't made any decisions yet but I will have to listen to my body the older I get." The Peterborough-born gymnast, who was appointed an MBE in 2013, won gold this year at the European Artistic Gymnastics Championships in Montpellier, France. He continued: "At the minute you only get to send a team to the Olympics Games. "For the 2020 Games you can send a team but also send specialists, which completely benefits people like myself who don't do four, five, six apparatus. "As long as I am still winning medals and one of the best in the world, the 2020 Olympic Games is a really big opportunity for me." Next on Smith's agenda, however, are the World Gymnastics Championships in Glasgow, from 23 October to 1 November. "I am trying to let my results do the talking, so when it comes to selection I have at least have a very decent argument," he said. "I am not a fan of people getting in the way of what I want to achieve. At the same time I am not big-headed and arrogant. "If I feel like I am not in the best shape or not going to benefit the sport and I am not selected, I can deal with that. "I can work out what I need to change, what I need to improve on and then try again."